The offseason is the time to hone your swing path, tweak mechanics, and work on adjustments that you don’t want to have to make in-season. A committed ballplayer knows it all starts on the tee. Hitting tees are not created equally. Cheap ones can break easily. The base of the tee might slide forward annoyingly with each swing. For some tees, it might be difficult to get the height just right. The best tees will work well and for a long time. For the serious ballplayer, there are a select few options that meet the criteria. Our favorites are from G Tee, Tanner, and ProMounds. G Tees are high quality, but you also need to pay a high cost. Their quality is proven by their usage throughout college and pro baseball and softball, but the organizations that use them have the money to spend over $100 on a single tee. Are you paying for durability and saving in the long run? Maybe, but regardless, it is a steep cost up front. G Tees come in three main varieties: a standard version with a square polyethylene base, a “lite” version with a smaller polyethylene base, and a “Triad” version with a triangular stainless steel base. The standard version of the G Tee has a square base and is adjustable from 26 inches to 53 inches (but also comes in shorter heights that adjust from 18″-30″ and 22″-41″). The tee has a telescoping upright, meaning it has two separate parts that help adjust the height and allow it to cover such a wide range. The base is made of high-density polyethylene and has a weight post in the corner for adding a plate (if desired) for even greater stability. The tee is portable if you plan on taking it to and from the field and also comes with a two-year warranty. The lite version of the G Tee has a smaller base than the original (9″ x 9″ as opposed to 12″ x 12″). The base of the G Tee light is the same material as the original, but weighs 5 lbs, a little less than the original (which weighs 7 lbs). 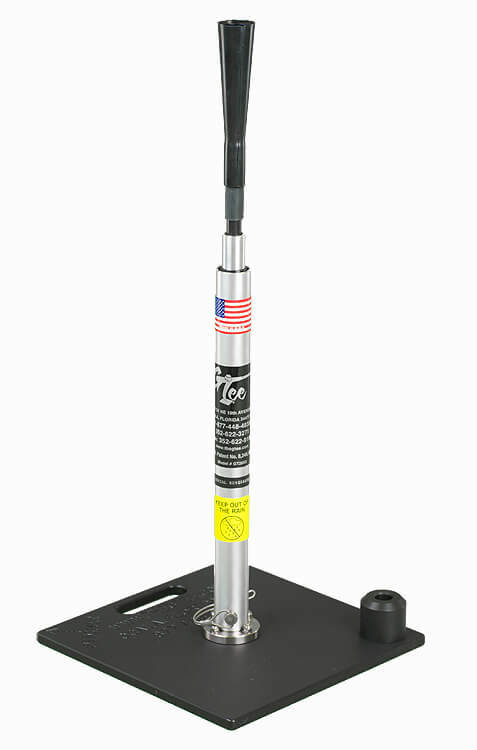 The G Tee Lite does not have a weight post because the purpose of the tee is to be lightweight and easily portable. If you want increased stability but don’t want to put a plate on the base of the tee, G Tee offers their “Triad” version with a heavier stainless steel base. Even with a weighted plate, a flat-based tee may still slide with each hit, but the points of the Triad bend into the ground to minimize this. The bases come in 16″, 18″, and 20″ sizes (these are the lengths of the sides of the triangle), and can be close to $100 more than the standard G Tee. The Triad has all the features of the standard G Tee plus the heavier base and comes in all three heights. Also, like the standard version, the Triad is portable and comes with a two-year warranty. Tanner Tees aren’t exactly cheap (the standard version is $80), but they cost significantly less than G Tees without sacrificing much quality. The main sacrifice that exists when using a Tanner Tee as opposed to a G Tee is that the Tanner Tees have 10″ less range than G Tees (26″-43″, as opposed to 26″-53” with the G Tee). Taller players may want to note this. Tanner Tees come in three versions: original, heavy, and pro. The original Tanner Tee has a square base with 9″ sides. Like G Tees, Tanner Tees come in three heights (16″-23″ inches, 20″-32″ inches, and 26″-43″ inches). 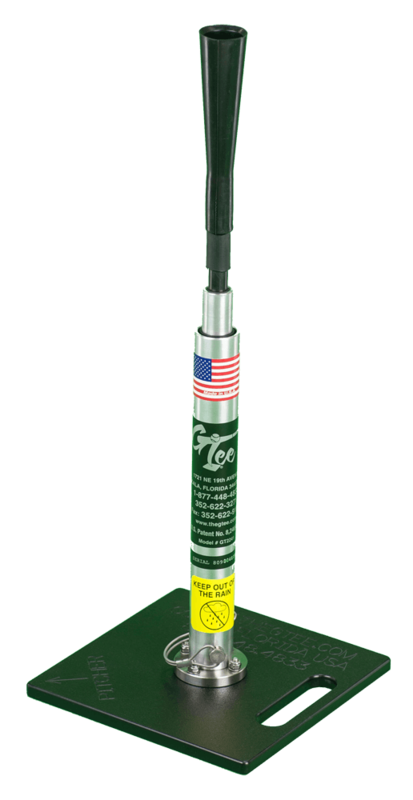 They have a telescoping upright that uses what Tanner calls “friction technology.” Tanner uses hand-rolled rubber for the cup of the tee, and like the G Tee, its portable. 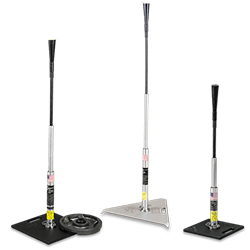 Tanner Heavy seems to be Tanner’s equivalent to the G Tee’s Triad–a tee with all the features of the original, plus a heavier base (called a “claw” by Tanner) that points into the ground, eliminating both slipping and the need for a weighted plate. 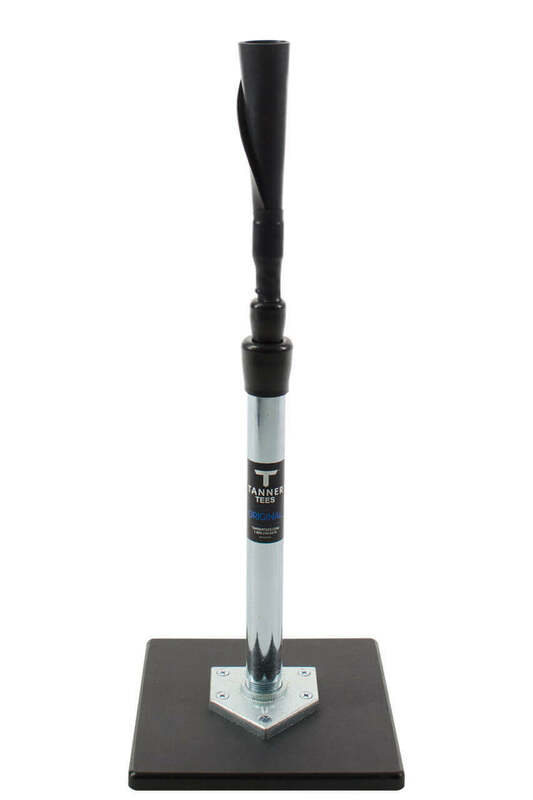 The Tanner Heavy has been highly praised for the claw because it allows for maximum stability ON TOP OF home plate, so hitters can train for pitches on all parts of the strike zone (shoutout to Doug Bernier of Pro Baseball Insider for this great observation). Like the Triad, the Tanner Heavy is more expensive than its original counterpart, but Tanner Heavy’s $115 price tag is a welcome sign considering Triads can run north of $200. The Tanner Heavy weighs 13 lbs, more than the 16″ and 18″ versions of the Triad (and just 1 lb less than the 20″ version at more than $100 less). The Tanner Pro is the newest Tanner Tee (it came out in 2018) and is a sort of hybrid of the original and heavy Tanner Tees, a middle ground between the two (both in design and price). It has the flat base of the original, but is weighted like the heavy. 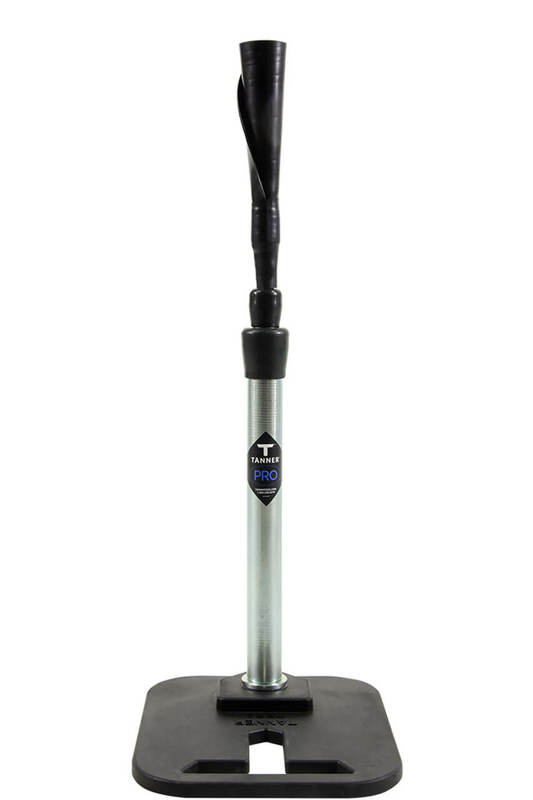 Although the base of the Tanner Pro is flat, it makes up for the lack of a claw by having a “skid resistant rubber cover.” It costs $100, midway between the original and heavy. 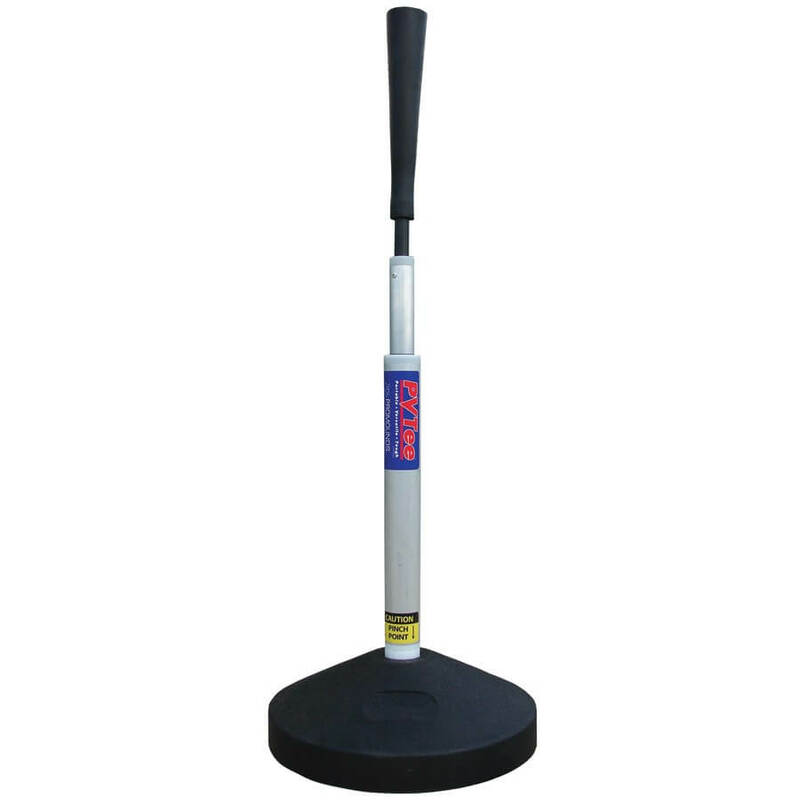 Another great find by Doug Bernier on Pro Baseball Insider, the PVTee is used by several big league teams. Instead of trying to make the stem as rigid as possible, ProMounds created a tee with a “flexible pivot joint” that “allows for the impact of mis-hits.” The important part is that due to the flexible joint, the impact is absorbed in the stem, and the weighted base stays put. ProMounds also says that the “give” in the stem saves dents on bats and is less stressful on the hands. 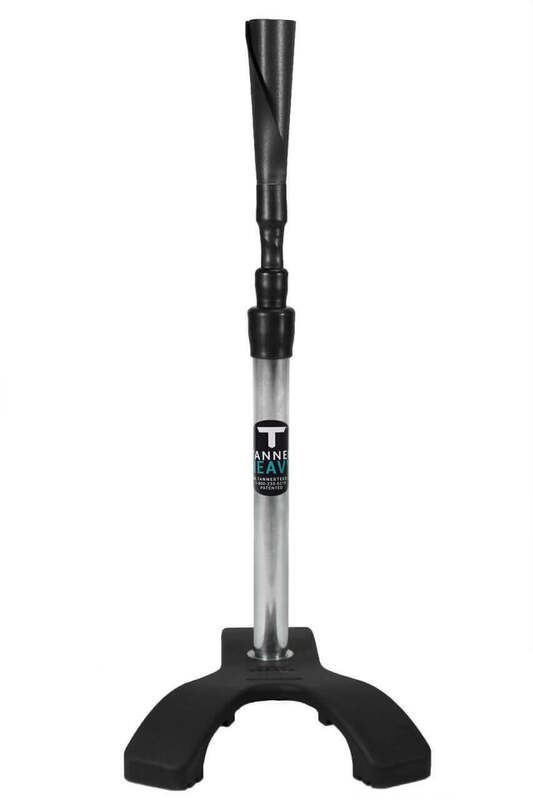 The weighted base is 10 lbs, and the height is adjustable from 27″-47″ which is close to the offerings of G Tee and Tanner. The biggest advantages of the PVTee are its innovative design and friendly price, at least in comparison to the other options ($79.99 at the above link). 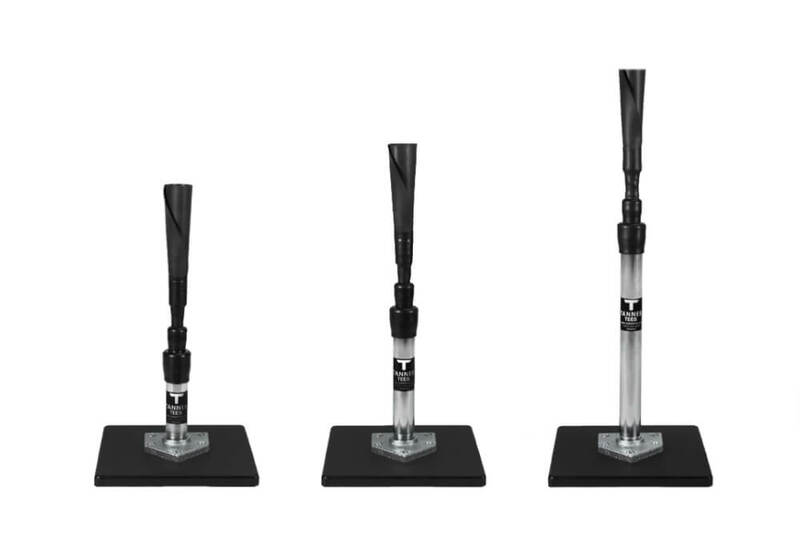 Which Batting Tee Should You Buy? You really can’t go wrong with any of the brands. If you have the money to spend on a G Tee, you’re getting a great tee, and just because Tanner Tees cost less doesn’t mean that they aren’t as good. What G Tees offer in terms of height, Tanner Tees make up for in value. As for the PVTee, it’s an innovative idea that comes at a great price. We like all these, and whatever you buy will be a quality purchase. Let us know what your favorite tee is in the comments.